Suite Sports: Studs and Duds: Dump the Schwab? Studs and Duds: Dump the Schwab? 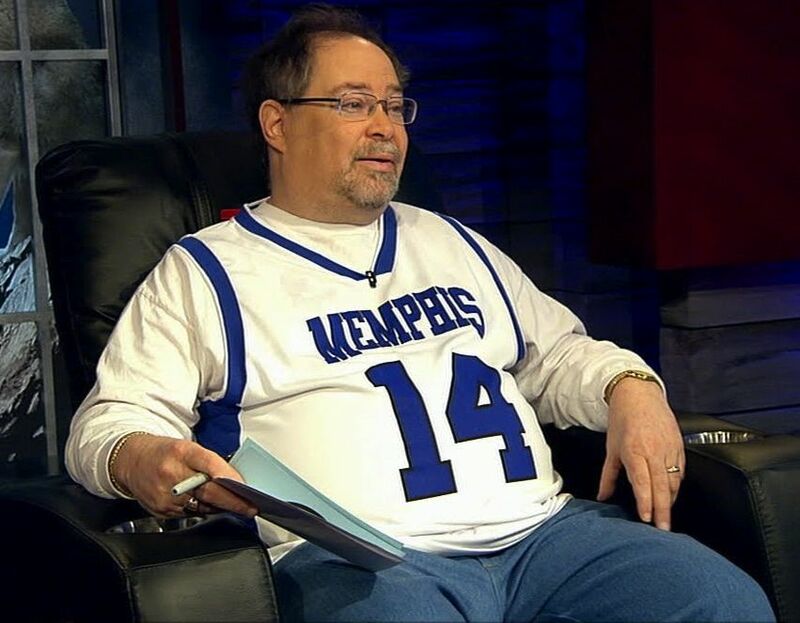 Sports trivia guru Howie Schwab was the most high-profile victim of ESPN's recent layoffs. Altidore is America's highest-scoring player in European football (Just ahead of Team USA teammate Clint Dempsey), but scoring for the national team hasn't come easily of late. 19-months without a goal had American soccer fans riled up that the national side's most talented player may not be bringing it on the world's biggest stage. Then, in an international friendly against No. 2 ranked Germany, Altidore got the US on the board in the 13th minute off a cross from Graham Zusi. Altidore continued his hot streak in World Cup qualifying action, scoring goals in wins over Jamaica and Panama. The back-to-back wins put the US atop the CONCACAF qualifying standings, and makes the team a virtual lock for the 2014 World Cup. Something we certainly couldn't have said two weeks ago. There have been four games played in the NBA Finals. In those four games, Danny Green has attempted 28 three-point field goals. Of those 28 three-point field goals, he has made 19 of them. What, you mean you haven't heard of the great Nate Tilford? Well, neither had I until earlier this week when it was announced that USC head coach Lane Kiffin had extended a scholarship offer to the talented receiver prospect. Well, Tilford hasn't played a down of high school football. Heck, he hasn't even gotten to high school yet, he just finished up the 8th grade. Now, offering rising high school freshman college scholarships isn't exactly unheard of in basketball recruiting circles, but this is a totally new frontier for football recruiting. Look, I'm not saying it's a bad idea to crown a kid the best thing since sliced bread before he gets to campus (In this case, a high school campus), but football recruiting is basically a crap shoot. Rivals.com and the rest of the college football world have named guys like Derrick Williams and Jimmy Clausen "once in a generation prospects," and that was after watching four years of high school game tape of them. I hope things work out for this kid, and I really hope the idiocy and attention-grabbing of Kiffin don't put unfair pressure on him. There really aren't enough good things to say about Dwyane Wade from Game 4. He was engaged, he was aggressive, he was balanced on his jump shot, his rotations were precise (and borderline destructive - he generated at least three turnovers on aggressive rotations going for steals - he had six steals in all), he filled lanes in transition, he crashed the boards on defense, and he kept up his energy in the second half. The Hawks trailed by two goals twice in game one of the Stanley Cup Finals Wednesday night, but scored twice in the third to force overtime. It all came to an end when Dave Bolland found Andrew Shaw for the game winner, allowing Chicago to preserve home ice for at least one game, and cool off the red-hot Bruins. I know this still only counts as "one win," but you have to believe winning one of the longest games in Stanley Cup Finals history has to give you somewhat of a mental edge over your opponent. The newly retired star point guard didn't stay unemployed long, landing a head coaching gig with the Brooklyn Nets. I know they always used to say Kidd was like a coach out on the floor, but now he'll get the chance to be an actual coach on the bench. The Nets have some talent, and a very good point guard in Deron Williams, so it will be interesting to see what Kidd can do with his first shot at coaching. There really aren't enough bad things to say about Dwyane Wade from Games 1-3. He was passive, off-balance, unacceptably bad on defense (Danny Green thanks Wade for losing him for open threes), unacceptably lazy on the defensive glass (two defensive rebounds in three games), and was generally damaging enough that even having him on the floor seemed to be a bad decision. When Wade isn't an offensive threat, Miami becomes incredibly easy to defend. You load up against LeBron's side of the floor and hug shooters on the weakside. It's up to Wade to take advantage of those two patterns by diving to the rim behind the defense. When he's on, he does it better than any guard in the league. When he's off, he stands awkwardly in the corner and all of a sudden Miami is playing 4-on-5 offensively. Make no mistake - Wade has been AWFUL in this postseason. Games like the one he had Thursday night are inevitable - nobody with his talent goes dormant for two whole months. But don't expect another game like it. Speaking of NBA teams making coaching moves, the Denver Nuggets made an interesting one, firing reigning NBA Coach of the Year George Karl. Ok, I know it was more than a week ago, but I'm still scratching my head. I get that the Nuggets haven't had much playoff success under Karl, but look at that roster. Andre Iguodala is a great all-around player, Kenneth Faried can rebound the heck out of the ball, and Ty Lawson is developing nicely, but… There is no superstar. Well, other than the incomparable Kosta Koufos. That will kill you in the playoffs, and I'm sorry, I just don't see losing to a red-hot Golden State team that was hitting every shot it took as reason to can the coach that has developed Lawson, Faried, Corey Brewer and JaVale McGee into the players they are today. Oh yeah, and he practically raised Andre Miller from the dead to get production out of him. Karl's teams are fun, and he got a ton out of his players night in and night out, but this roster wasn't going to beat any of the other top five teams in the West, or a hot and talented team like Golden State. My only hope is that Karl somehow ends up on a team with a superstar and solid pieces in place (Clippers anyone? Long shot, I know) to see what he can do with that team. It wasn't a lack of a "superstar" (arbitrary much?) that killed Denver in the playoffs. In basketball, individual brilliance really only matters on offense, when such a player can isolate against a good defense and still create a good shot. Denver's offense in the playoffs was mostly fine. They had an offensive efficiency of 105.9, better than "superstar"-led teams like Houston, Oklahoma City, and New York. Where Denver fell apart was defensively. Their defensive rating of 110.2 is in the same league as Milwaukee (bludgeoned by Miami) and the Lakers (dismantled by the Spurs). Plain and simple, Denver wasn't able to come up with a defensive gameplan to even remotely slow down Stephen Curry, and that was their undoing. The Spurs were able to do it in Round 2, that's how they won the series. If the Denver higher-ups think they needed to part ways with George Karl in order to create a more cohesive defensive unit (something he's seemed to be unable to do over the last handful of years), that's a reasonable move to make. They fired the Schwab!?!?! Yes, that's right, after 26 years in Bristol, Howie Schwab has been let go by the worldwide leader. Known as the ultimate sports trivia nut, Schwab served as a producer at numerous levels for ESPN, but made his way into our living rooms with the short lived trivia show "Stump the Schwab." On the show, contestants would compete through multiple rounds of trivia, some with Schwab, some without, all for the right to face off with Schwab at the end. I only remember seeing someone actually stump the Schwab once, and the show was incredibly entertaining, while also remaining more educational than anything else I can remember on ESPN. Seriously, if they needed to cut salaries, couldn't they get rid of the entire cast of "First Take?" I would watch the Schwab eat potato chips and talk about the 1987 Final Four all day before I watched another episode of Stephen A. Smith and Skip Bayless arguing about Tim Tebow.